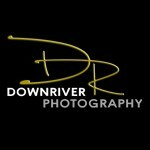 Downriver Photography® has been serving Metro Detroit and Southeast Michigan since 2004 specializing in family, children, sports, commercial, and event photography. Nobody does more to bring out your best! Senior portraits taken on-location in the Downriver area. Commercial photography including fashion, product, marketing, headshots. Live-action as well as in-studio and on-location sports photography. Family sessions at gorgeous locations near you. In-studio children's portraiture available year-round.